I think about 15 years ago perhaps even more I moved schools and with that move I was leaving part of my sports career you may say with it. I thought moving to a new school I could finally play the position I liked and wanted to rather than the position I ended up playing because I was good at it. I am talking about lacrosse. At my first school I played goalkeeper and it was quite by chance. I had inter-house team competitions so someone always pulled the short straw and ended in goal. For me I felt I pulled the shortest straw because not only was I playing for the house team in goal I was also playing for the school team in goal too after putting up a good performance in house games!!! Moving schools was my opportunity to hang up my goalie stick and pads etc and pretend I had never played in goal and could start playing out field. From that moment on I never thought I would play in goal again. Realistically I know I am not going to get back to the fitness I once had and be able to play sport like I would love it. I had almost resigned myself to either co-ordinating the subbing gate or player periodically in tournaments when the weather was not to bad etc. Today we had just that. 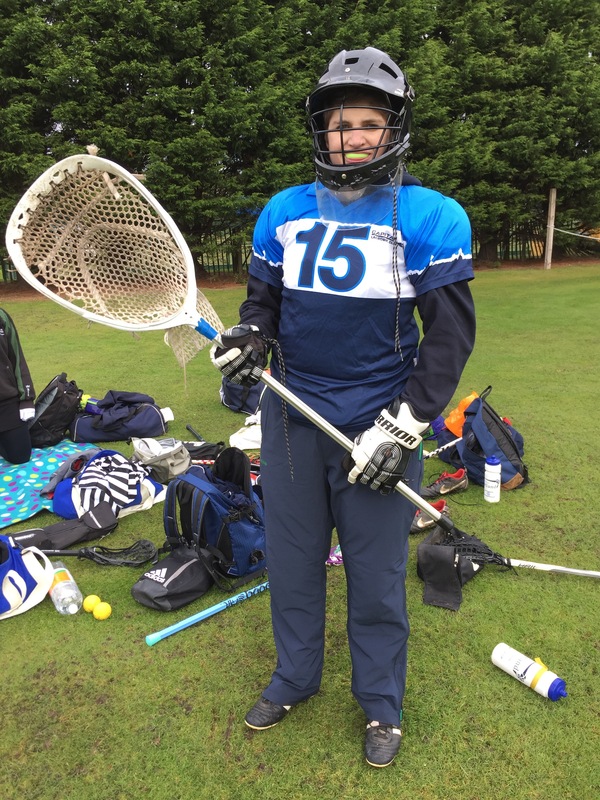 It was the Scottish Clubs Mixed Tournament in St Andrews so I thought I would go- knowing full well I am not fit and am still really sore from my chest issues- but as usual I decided pain killers would be fine and I could have fun. I defiantly had fun but not in the way I thought. Our goalie couldn’t play, then our stand in goalie was injured in training on Thursday so goalkeeping duties was split between a few of us. I ended up back in the crease with pads on and holding a stick with a giant head. As soon as I stood in the goal everything came flooding back to me- it was in a way like I had never not stopped. I got into the circle and made my foot marks so I knew where my posts were etc and off we went. I made a few saves, assisted a goal off a clear and conceded 2 goals I think (could be 3 but not sure). I was impressed and I even have to admit I really enjoyed it to the point I think I may go back to that position if I can get some really good padding for my chest so I don’t risk to much injury. Going in goal was so worth it. As a team we won our pool by winning all our matches which meant we went forward to the final…and won the final. 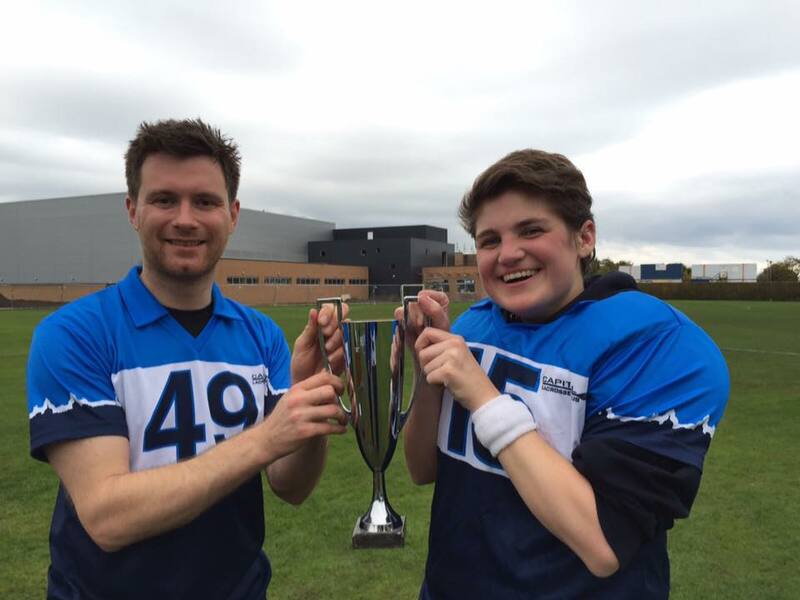 My lacrosse club are the Scottish Clubs Tournament Champions and got silverware to take away. It was such great fun and well worth the risk of feeling sore and perhaps not great now but I have not felt part of the team for a long time as I was never able to contribute but today I did and it felt great. It was a real positive boost which I hope will do me good as I have decided to not play golf for the next year and not renew my membership to my golf club which I was feeling really low about- but I really was not enjoying golf last year as it was such a physical effort to get round the whole course. So today has given me a much needed boost. 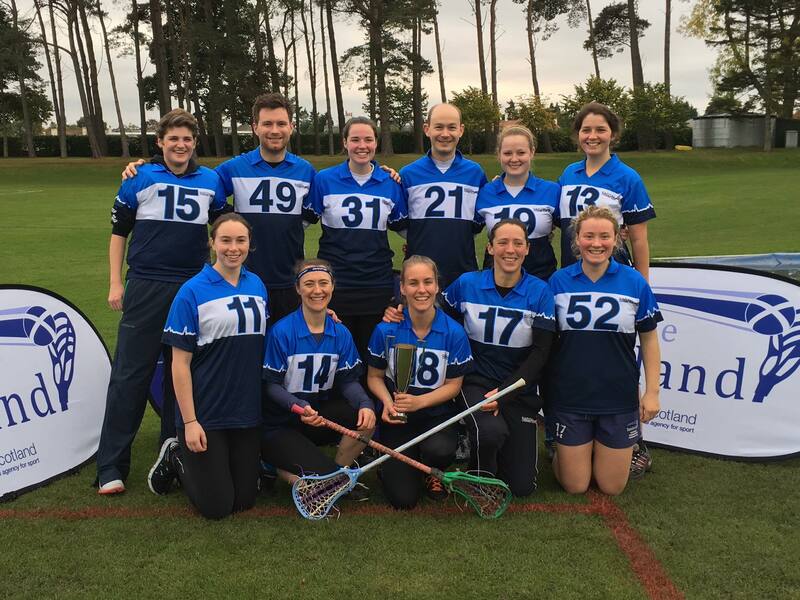 I am even thinking about going to the Scotland Lacrosse Development weekend which is run monthly. I never thought I would ever be putting on goalie kit and standing inside the crease again. I will defiantly not be saying never again this time! !